Can anyone else remember the days when we could only dream of having easy access to NYX Professional Makeup? Now it’s much easier to get a hold of, and none other than Debenhams will be stocking it too, but that is not it, Debenhams will also be stocking an exclusive contour palette. Yes that’s right NYX Professional Makeup are releasing a contour palette (which is gorgeous by the way). That you can only get in Debenhams. Debenhams kindly sent me over a bundle of their best sellers for me to try, and share my thoughts with you. I personally love NYX Professional Makeup. The soft matte lip creams are a classic, but I’ve found a new love with highlighters and eye shadows. Everything is available now, on the Debenhams website, and I’ll leave links to everything for you to have a nosey. 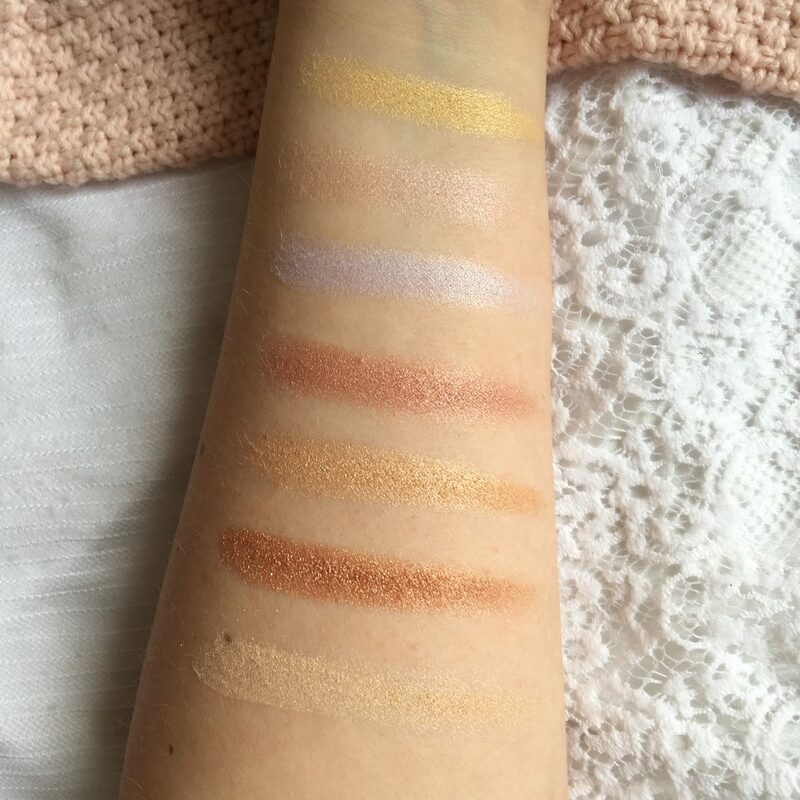 I have swatched everything too, so you can get an idea of what it all looks like, so a very picture heavy post is on the way. I will admit that cool tones are not my usually my thing, but after playing around with this palette I fell in love. It’s a stunning palette and I think the colours are perfect for the colder seasons and very Autumn appropriate, especially for those who don’t like wearing reds or oranges. The colour that stands out the most in this palette is definitely the bottom right purple shade. When I used this palette I didn’t get any fall out, and I find the shades to be pigmented and they blend really easily. I was really surprised with just how well they blend out and blend together. I know a lot of people rave about this, so I was so excited to receive it, it contains seven highlighters and out of those I think there’s only one that’s too dark, and that’s the middle one on the bottom, but I can pass it off as an eye shadow so that’s fine. I love using the two others on the bottom mixed together, as I like a darker gold/ champagne and that is what they give.If you like strong highlight then this is for you, I got a really strong glow with this, so subtle lovers be ware. As soon as I saw this I wasn’t sure if it would be for me, considering I have dry skin and this is quite clearly aimed at those with oily skin, as I don’t have any shine to kill. 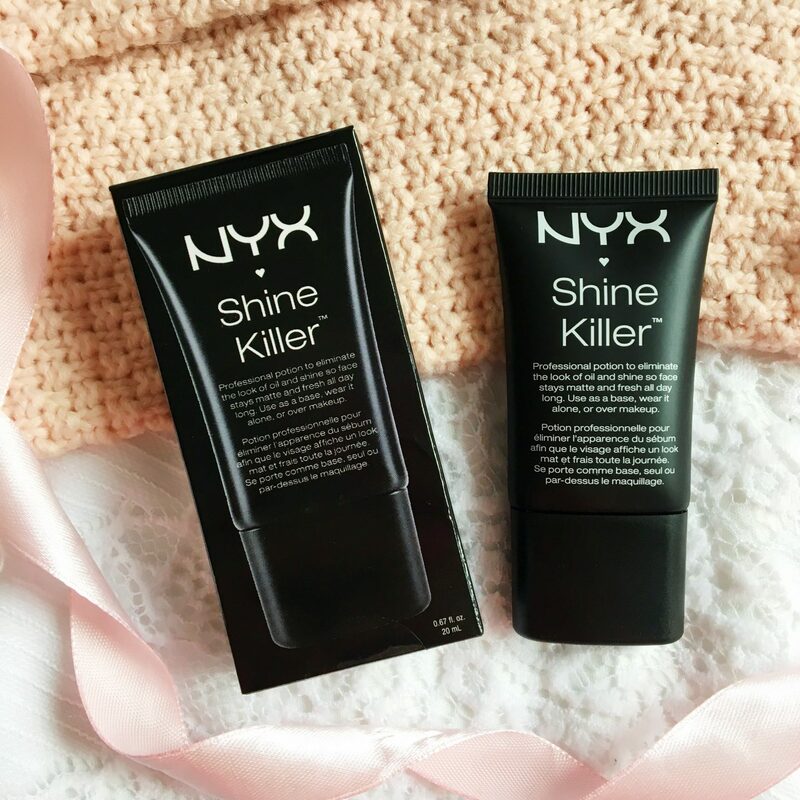 Shine Killer is clear and contains silicone. Once applied this left my skin feeling smooth and it does dry quickly, but it doesn’t disappear. My foundation went on smoothly over this, and lasted a good few hours. 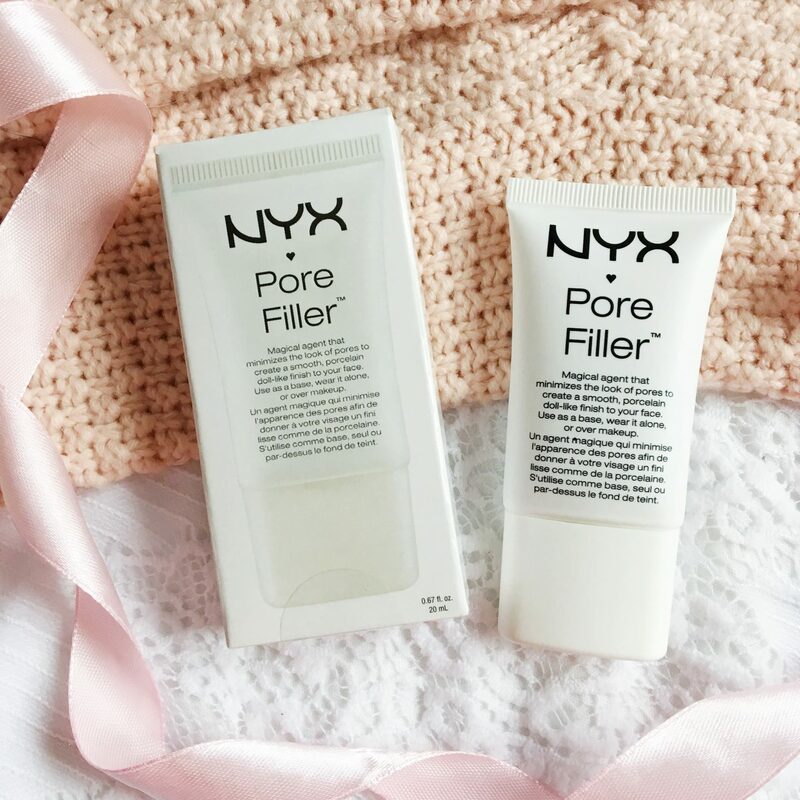 This primer is silicone based too, which is great for oily skin. It also has a peach tint to it, which blended perfectly with my skin tone. Once applied it leaves your skin smooth and matte, with pores reduced. This did really help with my foundation and my pores become more apparent after around five hours of wear. These glosses are my ultimate favourites, if you are looking for a gloss these ones are the way to go. This is my first time trying Strawberry Parfait and I can see how it got its name, as it is a bright pink, but once applied it’s a pretty wash of colour. These glosses aren’t sticky and apply really easily. As soon as I saw this colour I knew I would love it. I can’t believe I didn’t try it earlier. Budapest is gorgeous deep red-purple berry colour which is perfect for Autumn/ Winter. 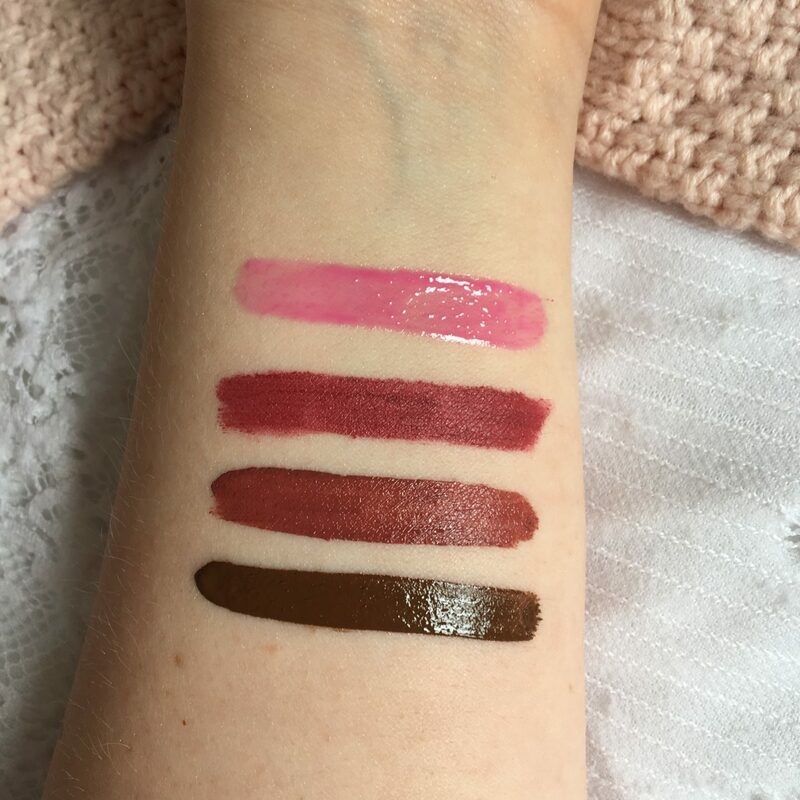 The soft matte lip creams have such a great formula it’s not too drying, but it does dry down. I find these need re-applying after eating and drinking, but that’s not too big of a deal when they’re so comfortable. I cannot tell you how happy I was to receive this! I bought this a while ago, and I really like the colour, but I managed to lose it. Before applying this I like to apply a lip balm, as it can be a little drying. This means it lasts longer than the soft matte lip creams. This is a gorgeous colour for Autumn and Winter, as it’s very similar to Budapest. I was a little shocked by this, as it is a pure brown. I like the colour, but I’m not brave enough to wear it out. This is because it’s a little out of my comfort zone. 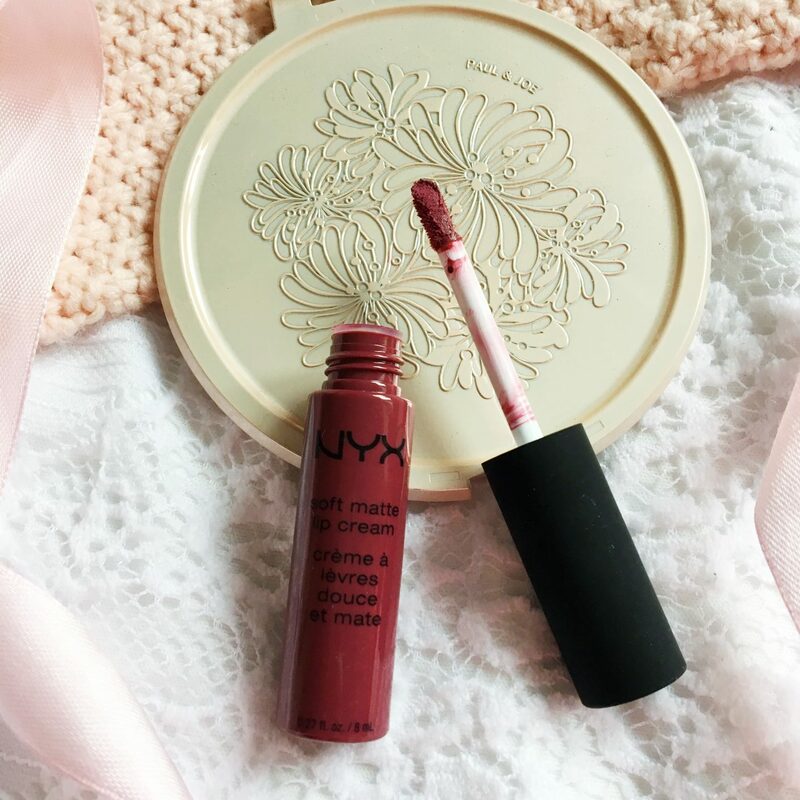 The formula is something in between the lip Lingerie and the Soft Matte lip cream. I definitely saved the best for last. This little beauty is the exclusive palette that you can only get in Debenhams. You get a blush, two highlighters and six eye shadows. Contrary to my blog name, I’m not the biggest fan of blush, but this is such a gorgeous colour. I am in love with both of the highlighters, these colours are pigmented and blinding. These shadows are definitely more up my street, as I love a warm look. The colours are great for Autumn and Winter too, as they contain the typical reds/ coppers. I found the eye shadow lasted all day, and it’s really pigmented and blends really easily too. I didn’t suffer any fallout either. That is everything I was kindly sent to me. A huge thank you to Debenhams, as everything is amazing! I’m excited to be able to get NYX Professional Makeup in store. 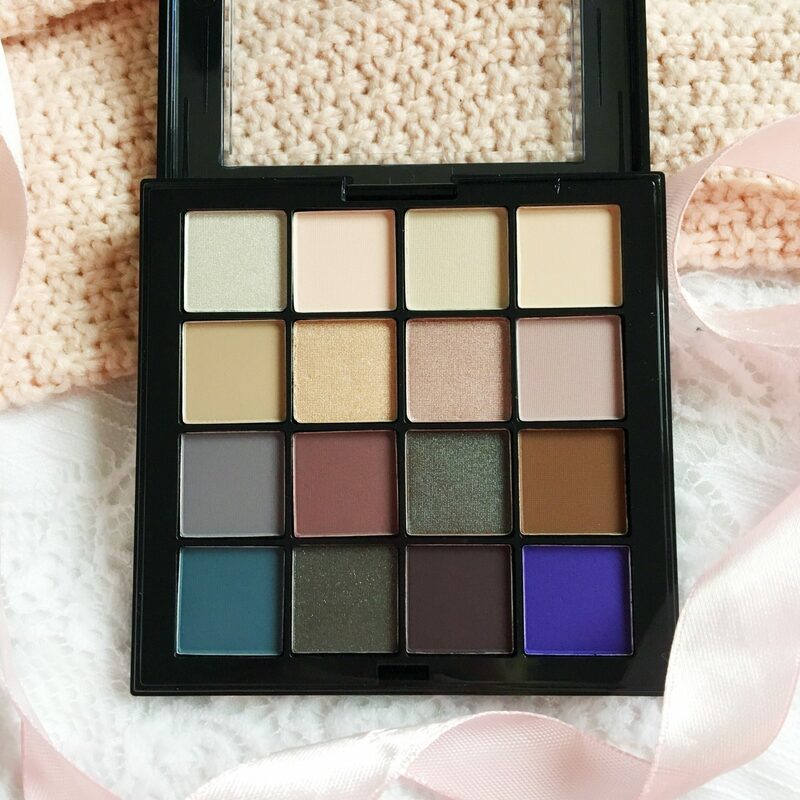 I’m definitely going to get more eye shadow palettes as I really love the formula! 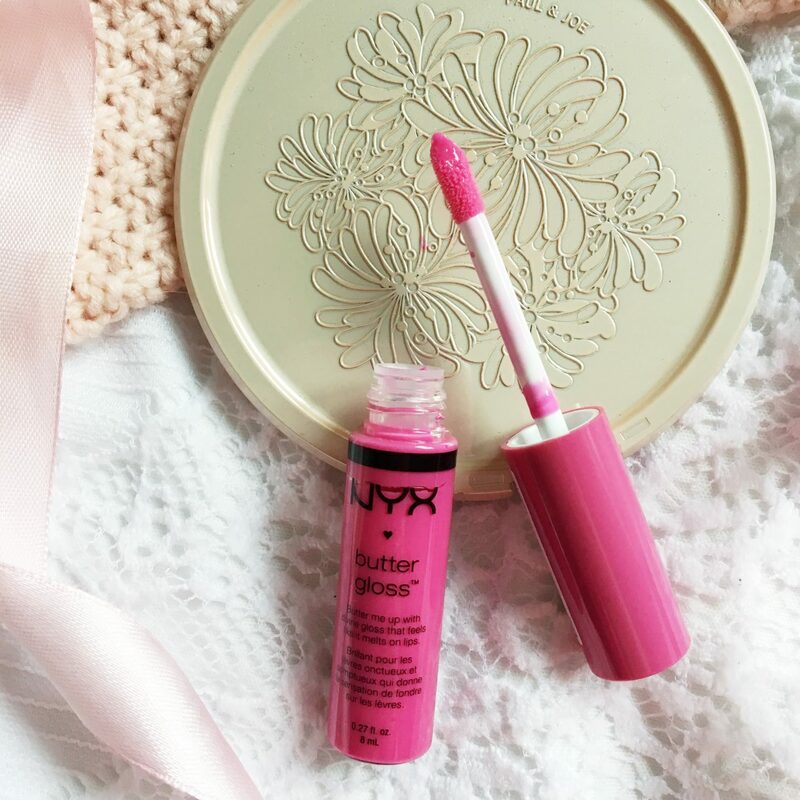 What is your favourite product from NYX Professional Makeup? "Blogging Mistakes I Have Made"
"Crown Brush 523 Purple HD Brush Set Review*"
Those shadows swatch sooo pretty! NYX is such a great brand ! 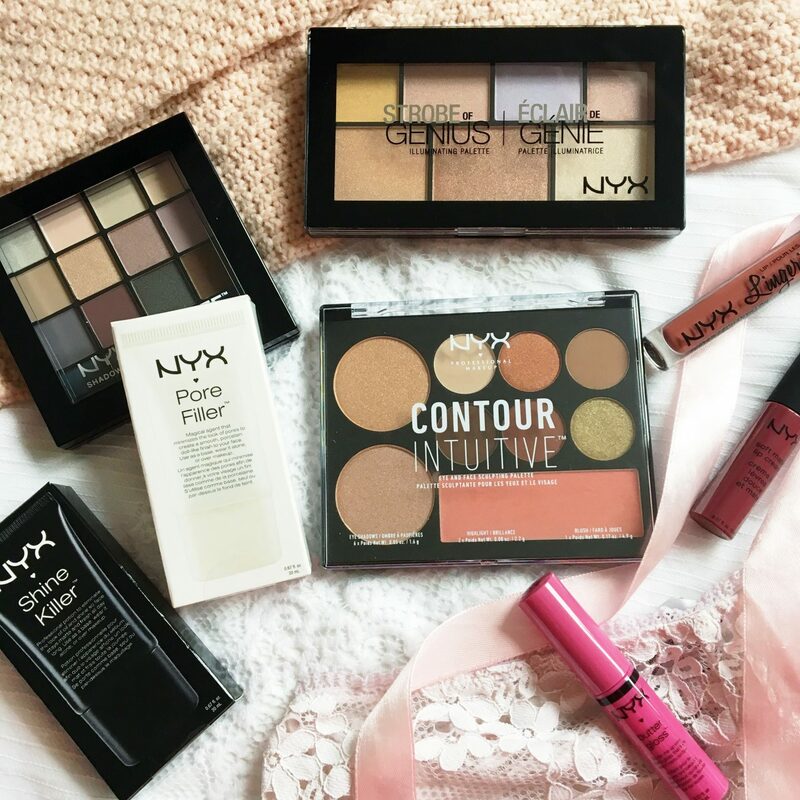 Lovely Post X I really like NYX products – such great quality for the price especially the Soft Matte Creams. The eyeshadow palettes looks so pigmented. What an amazing package to receive! 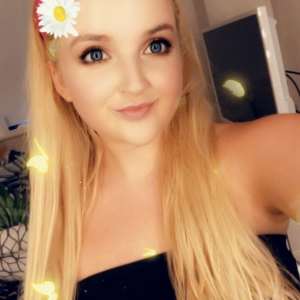 I really need to try more Nyx products my list seems to keep growing and now even more so because how gorgeous is that palette you can only get from Debenhams! Those highlight shades look insane!! 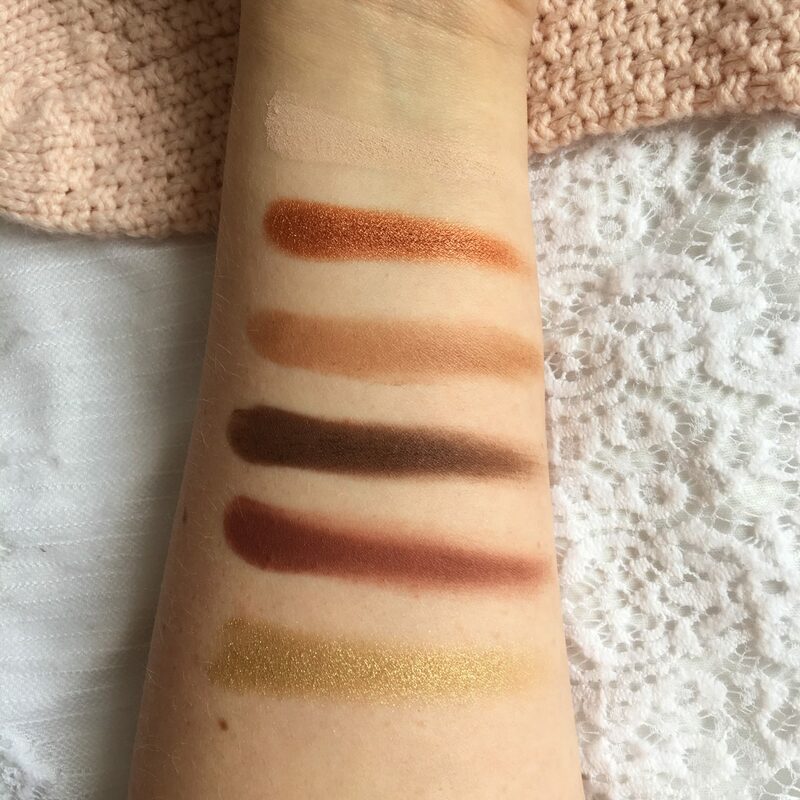 I loved this post and the fact you included swatches of everything! NYX is so good for drugstore makeup! They’re my favorite drugstore brand for sure, and I love how they have all kinds of bright eye and lip makeup, which is something I think is lacking in drugstore makeup. Their butter glosses are so nice, my favorite is creme brulee! These eyeshadows look super pretty! Your picks are just lovely! How fab to receive all these goodies! Go girl! 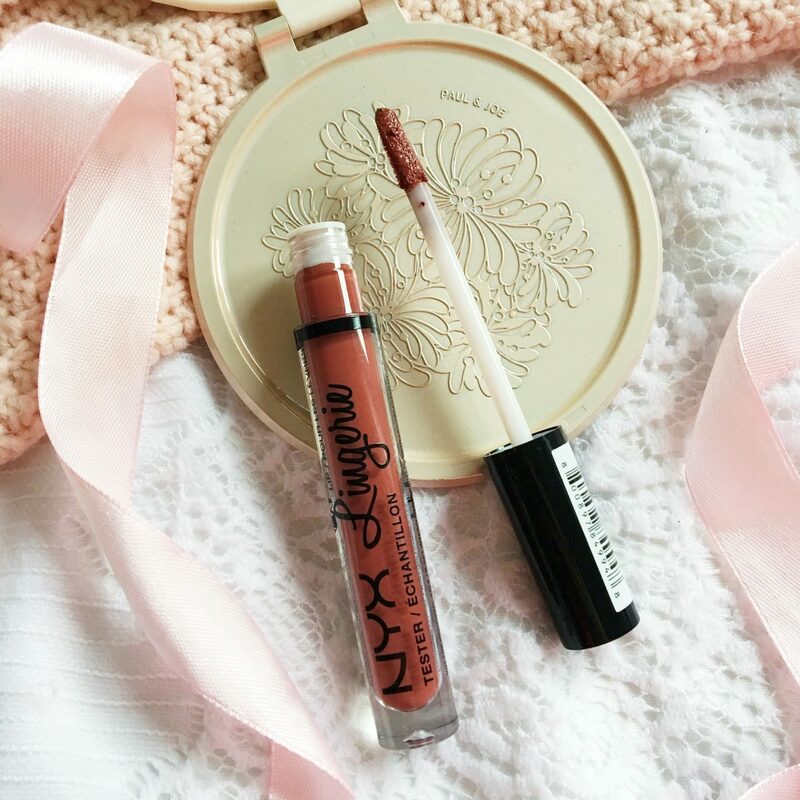 !NYX is a fave of mine, I have a couple of lip butters and my go-to wonder pencils. Oh and hydra stick is also great. The highlighter palette looks gorgeous, I’ll have to look out for that one. So pleased Debenhams will be stocking it! Budapest looks like such a gorgeous shade! I always look at NYX but I never buy anything, I’m so tempted after this post though! All the makeup looks so beautiful and glittery. You’ve got me adding all of these products to my mental shopping trolley! That eyeshadow palette looks so autumnal and dreamy, and I love the sounds of the primer (always on a mission to hide my pores)! Get lost!! I never knew about this!! Guess who’s going online shopping right now for some new makeup! This is incredibly exciting news, I absolutely love NYX and the exclusive palette looks absolutely gorgeous. I’m completely in love with the eyeshadow shades and how pigmented they look too. What a lovely delivery from Debenhams! I remember when NYX came to my local Boots and everyone went crazy! 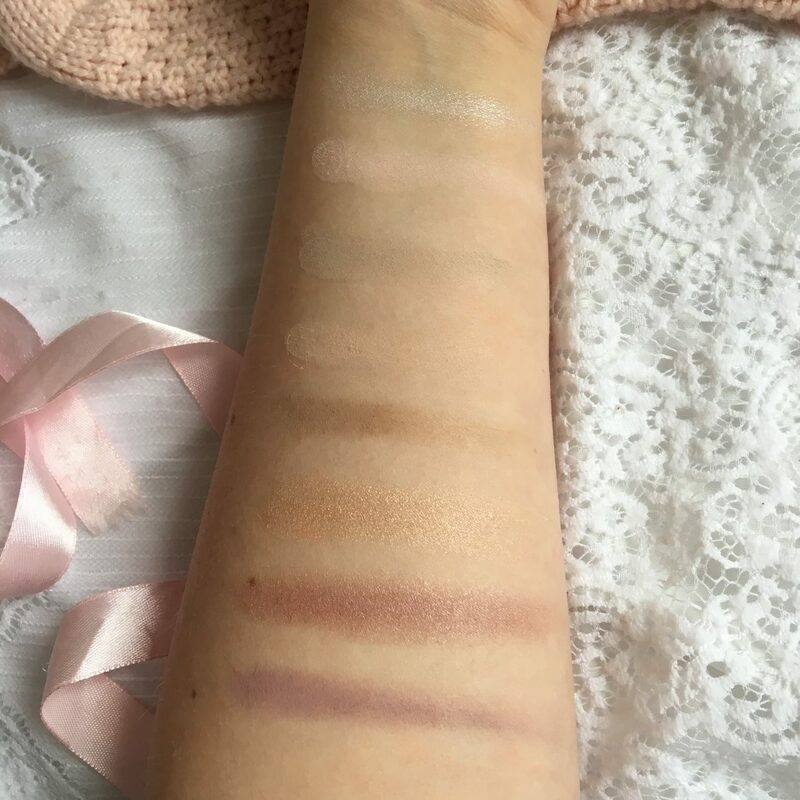 I love the look of the Contour Intuitive palette – such lovely swatches! Love NYX they have great products! Lovely review, hun! 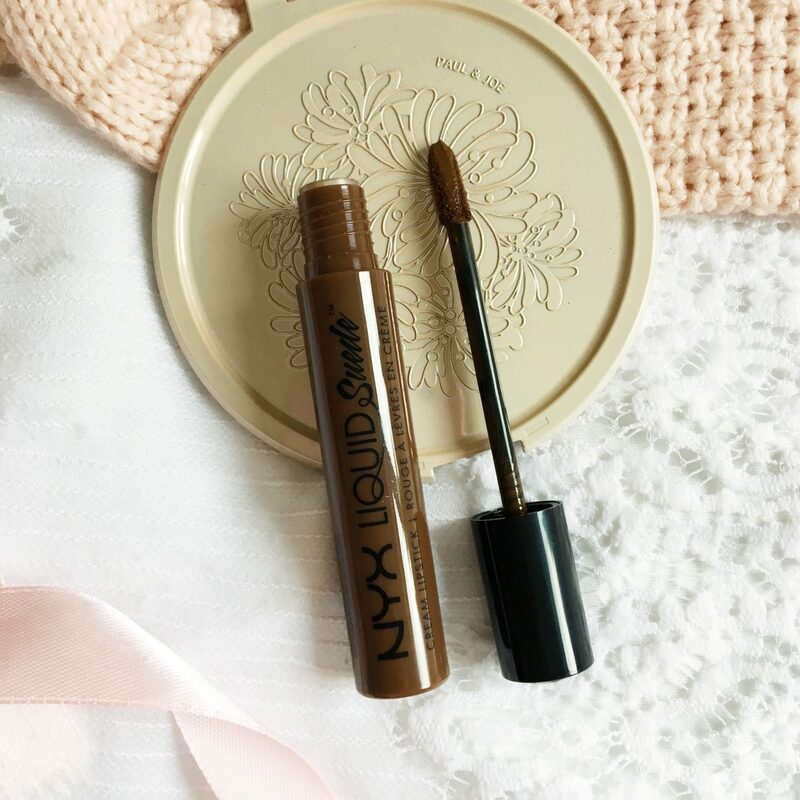 🙂 I love NYX makeup, it’s so affordable and the quality is great! 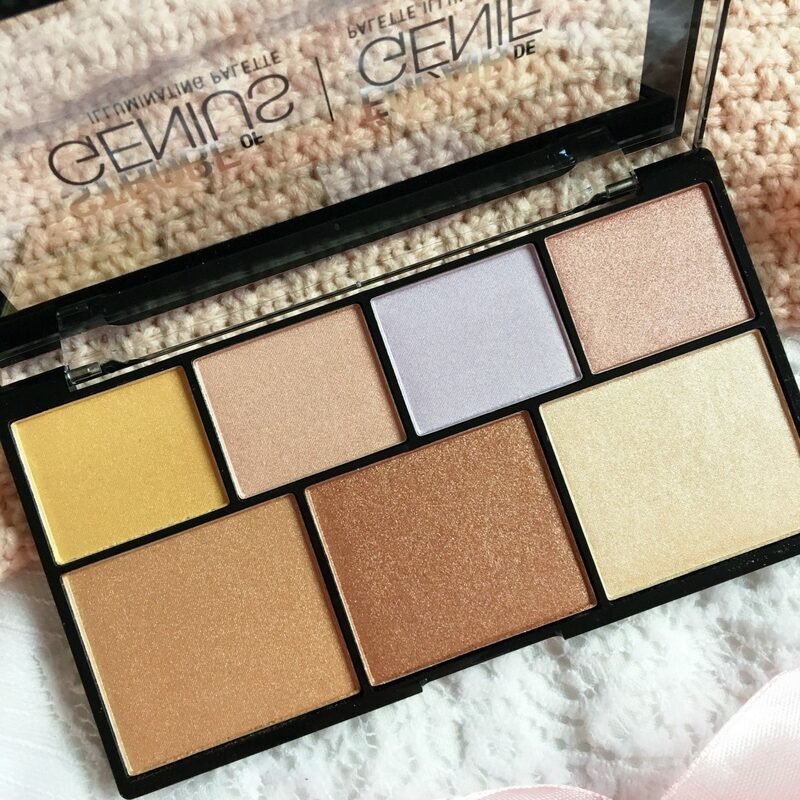 That highlighting palette is fab, one of my go-to ones for everyday wear! <3 Thanks for sharing, lovely. Lucky you to be the recipient of all these goodies! 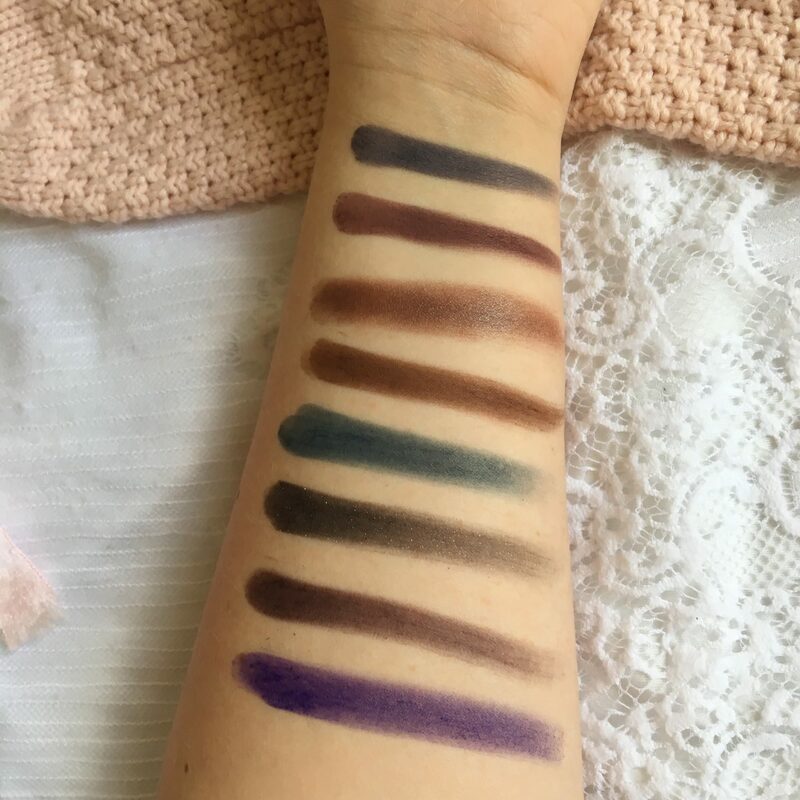 I remember the hype when NYX first began to be stocked in UK drugstores, so I can only imagine the excitment of Debenhams getting their professional range! 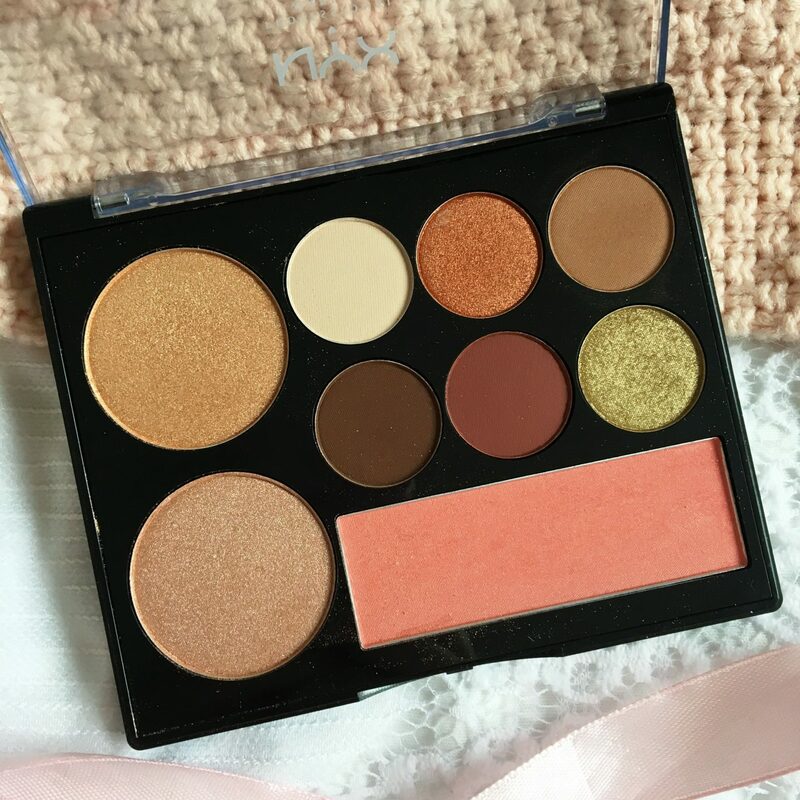 The ultimate cool neutrals palette is right up my street, it’s just pigmented enough to give a natural glow, which I adore! I’m also very keen to try out the lip lingerie! Thanks for sharing these gorgeous products! Hi, thanks for the heads up I shall take a look when I pop into Debenhams. I love the eyeshadow colours. This is a great post! 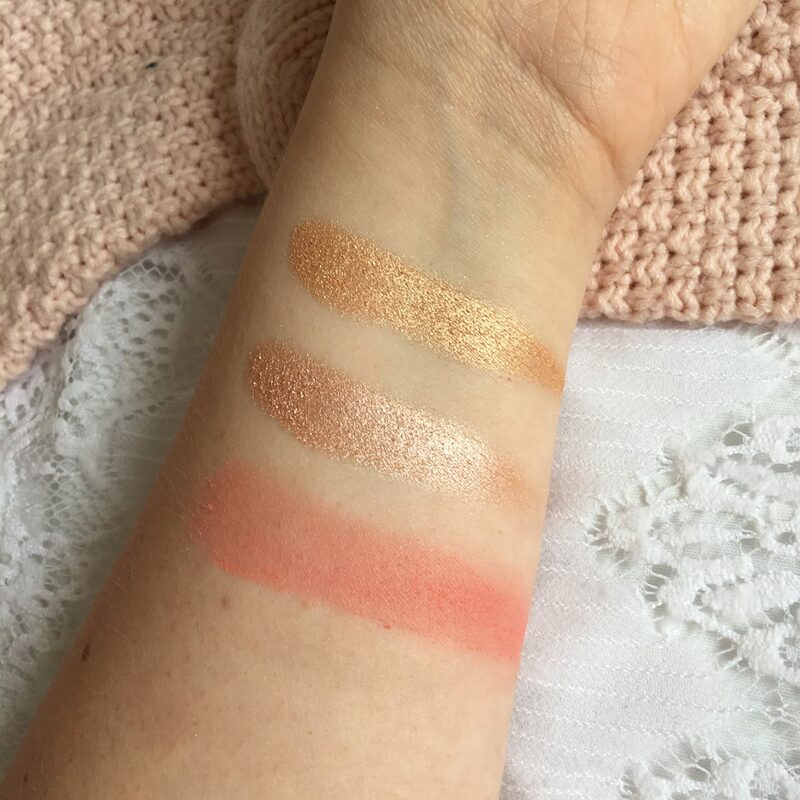 I’m in a desperate search of a new highlighter- think I’ve found my match because the bottom ones in the palette seem right up my street!